How to Get plugged into your prayers. Do you pray? Of course you do if you are a believer. Do your prayers get answered? Well, maybe some of them do and some of them don’t.Maybe they are answered but not the way you expected them to be answered. How can we get answers? How can we pray more effectively. What we really want is effective prayer don’t we. Have you every stopped praying and your prayers are answered without even asking in prayer? You see there is no magical way to pray for something.Praying is not like a rubbing of a lamp for three wishes.The first thing for everyone to realize is that prayer is making a connection to the source of your belief’s.You have to believe before you pray. You might believe in your source but you know that your asking has already been received? Have you heard of favor?Favor is already given to all God’s children. The actions and out come of prayer are through the Holy Spirit not the physically world. The cause and effect of change works because you are plugged into that spirit. Your intentions must match the intentions of the HOLY SPIRIT and God’s grand plan for your life and all others that can be effective by your request. You have what you have already request in spirit. What you are waiting for is the manifestation of the request you have made in your prayers. Your thoughts have already been spoken in spirit before you verbalize in the physical realm. As we bring all to consciousness we seek agreed with others in the physical world. As we know when two or more come together in agreed THE SPIRIT IS PRESENT. The agreement is like a seal of our faith and helps us the believe to feel emotionally connected to the spirit of others that have more connections with spirit in their lives. Every living human has the connection to the Holy Spirit to comfort and come fill their emptiness from all grief and worry. Praying is very hard for those that are in state of depression or brokenness in spirit. God knew this and this was the reason for God to manifest in the flesh as a human and to die physically on the cross and be place in a tomb and rise to HIS accession BACK to the HEAVENS.THIS brought a connections to all through the Holy Spirit. This is what it means to pray believing that it has been done. You have GOD THE FATHER SON AND HOLY SPIRIT WITH YOU AND IN YOU AT ALL TIMES. Start all prayers with praise and worship of this grand plan of God.Let you will Father God be my guide and bring to me all you have prepared for me.You know my heart and see my problems, you have my life in your hands, I submitted my request to you as you have sent your Holy Spirit to me to comfort me in my time of need. Thank you for YOUR PEACE and bless all those that are in need of your divine love.Praise be to you MY SOURCE AND COMPLETENESS.MY HEART IS yours and my desires are yours for my life I agree that your will be my will I submit my life to you.I pray in under your name and the authority you gave me through your Holy Spirit connection you sent to provide for me. Two sides of the coin and the flip of the rest of the story. Two sides of the coin and the flip of the rest of the story.. Everyday we hear about a story in the news that brings awareness to the struggles of the consciousness.Every story puts a light on our problems and struggles between what is right and wrong with the world today. We are not to blame or judge but to learn the lessons of others to help open our own awareness to the events that occurred. With every story there are conflicting views that come into conflict of our morals of what we belief to be our own truths. We feel and think we need to take actions or take a stand with the humans involved with every story in the news. We hear the opinions of the reporters and we look at the video’s and come to a conclusion. Most of the news is about life and death and the rules of the freedoms we are given in our Laws in the constitutions. These laws where set forth to serve as a model for our society to live in peace and harmony in a community for the welfare of all concerned. As it says equal rights for all. The United States of America is a melting pot of many belief’s. We are a country that has many God’s. God’s that men serve and worship other than a creator of the universe.The rules that we go by from our forefathers of the Constitution are not the rules everyone follows. We are seeing our freedoms from those bylaws begin taking away every second all across America. Our Laws are begin challenged by humans that have no moral right or wrong and have no respect for others. When this happens in the consciousness of the whole the humans with morals become confused and start judging and blaming the humans involved and the Government. We are now at this point in our timeline as we come to understanding within each that have the truths of togetherness and community importance that we must stand for our truths. We have been holding back because the Government was taking care of the systems to keep them place for our protection and well begin. We need all of those that have the respect for human life to step up and bring in their own consciousness this awareness and not to judge the world for it’s fallen state. As truth in us will prevail as it has been spoken in the words of our Creator God. Can the Spirit overcome the problems of the Physical? Can the Spirit overcome the problems of the Physical?. 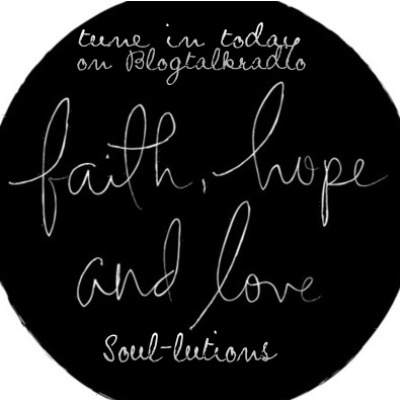 My solutions are Soul-lutions and it’s a technique that can be applied by using soul work to increase your faith, hope and love. We are all spirit begins living inside a physical world of limitations that are physical and spiritual. The physical limitations have been address for many years as we have improve our bodies and minds to move and take on the challenges of the career fields we choose to enter. The last thing but should have came first was the seeking of kingdom of Spirit that dwells within these temporary mortal bodies. We feed our physical and over-look the feeding of the spirit. We give our spirit a small prayer or take it to worship and praise service once a week or listen to some music to bring it in alignment for short periods. We even do a meditation maybe when we get stress and think these small solutions will keep the spirit from starving. WE jump back to the body work and the brain work and stress comes to the spirit because of lack of understanding where the stress comes from. Stress can be a spiritual disconnection and can lead to problems in the physical body and the thinking properly to make good decisions and choices. We are to be reminded that we are to love our creator with all our heart,mind and body. What is the heart but the emotions and spiritual moral compass which keeps us in the guilt free zone. The convictions of the Holy SPIRIT comes to all reasoning logical thinking brains.Stress is weakness in the connections of all the systems with the creations of everything in the living state of begin.All is connected through energy fields or centers of electromagnetic systems called chakas. These centers are different colors and need to given energy to maintain the body,mind and spiritual connections. Many have used meditations with this in focus and have found that the body is brought to the light body of the spirit. The spirit requires a quiet time to gather information from the body and mind this is the real reason for meditations on music,nature or intentions. The spirit also needs to be support and uplifted by other believers in the the faith and belief system that is the same as your spirit called you. Touch is needed to keep your body ,mind and spirit the energy from others that carry good energy. The proper location for sleep and dream time are important to the spirit. Setting your mind to your problems before sleep helps your dream time to become productive to your spirit. These subjects will all be discussed in more detail in my later writings this year. Spiritual work will be giving to each of us through many things as we grow in the spirit. God directs,inspects and corrects the spirit through lessons and these lessons should be allow and accepted by each believer in the Creator God. Finding soul-lutions through Soul work is based on the word of God and brings the spirit the strength that God promised. Seek you first the kingdom of heaven and all will be adding unto you.